Brooks Pure project is here! Home › Latest News › Brooks Pure project is here! 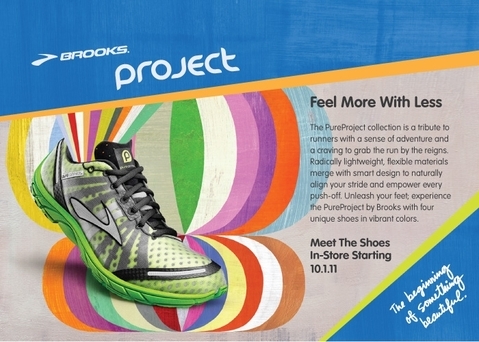 October 1 - The latest line of shoes from Brooks is light, hot, fast, and fabulous! Come in to check out these new lightweight shoes. They have rounded heels, an anatomical design that enhances toe-off, and an innovative supportive yet extremely lightweight and flexible sole.